Human beings are not placed; they bring place into being. Wylie Garcia is originally from Houston, Texas, but found her way home to Vermont in 2003. She received her BA from The University of Chicago in Photography in 2002 and an MFA from Massachusetts College of Art and Design in 2008. She is an award winning artist, known for her textile installations and paintings. 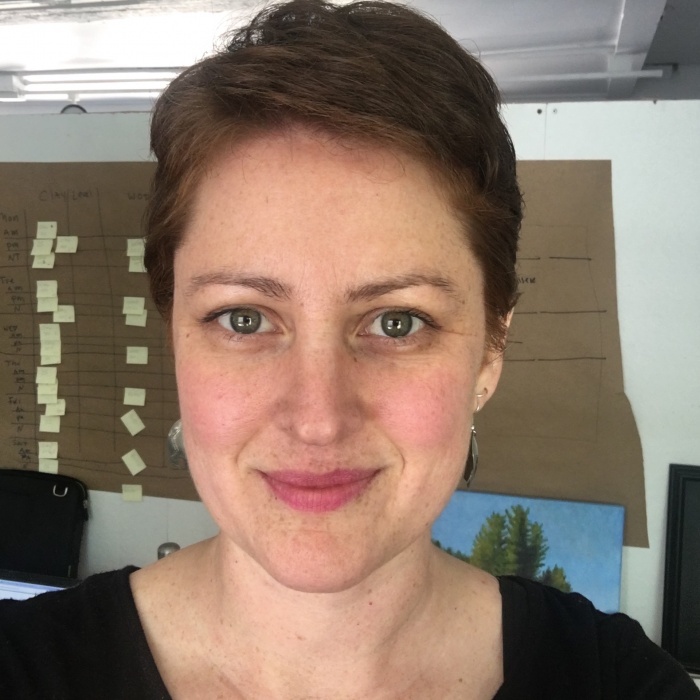 Her professional background reflects her interest in connecting historic preservation, craft, and art education. 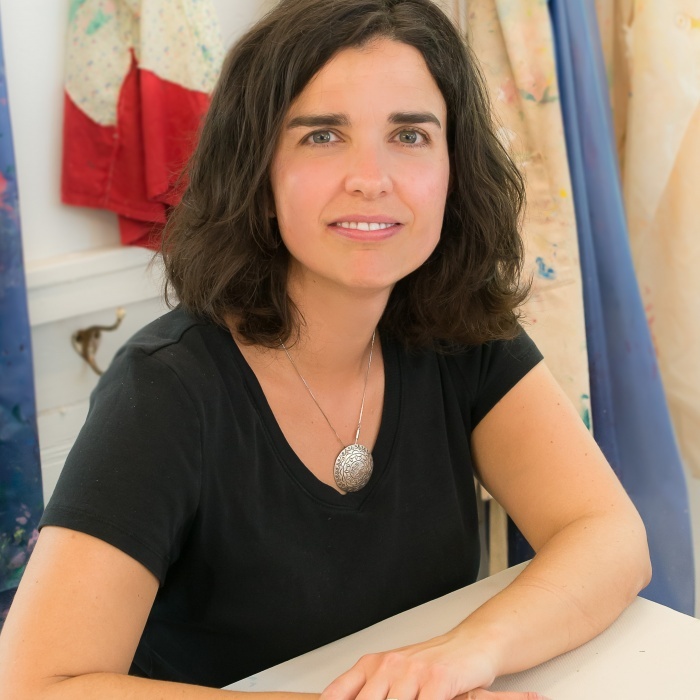 Before becoming the Program Director at the Shelburne Craft School, Garcia was an art conservation technician, a visual art coordinator and afterschool instructor, a slow fashion designer, and gallery owner/director. She is the recipient of a Sustainable Arts Foundation Fellowship, a St. Botolph Foundation Artist Fellowship, The Barbara Smail Award, and two Vermont Art Council Creation Grants. Her work has been exhibited internationally in museums, galleries, and offbeat art centers. Sarah​ ​Ahrens​ ​has​ ​been​ ​reveling​ ​in​ ​the​ ​process​ ​of​ ​art​ ​making​ ​and​ ​teaching​ ​for​ ​over twenty​ ​years.​ ​She is predominately a painter whose​ ​process​ ​is​ ​driven​ ​by​ ​playful​ ​experimentation​ ​of​ ​materials​ ​and​ ​investigation of ideas of place.​ Sarah​ ​has​ ​a​ ​genuine​ ​passion​ ​for​ ​reaching​ ​all​ ​types​ ​of​ ​learners through​ ​the​ ​power​ ​and​ ​magic​ ​inherent​ ​in​ ​the​ ​Arts.​ ​She​ ​is​ ​intensely​ ​curious​ ​and energized​ ​by​ ​the​ ​collaborative​ ​potential​ ​of​ ​the​ ​creative​ ​process,​ ​and​ ​is​ ​often​ ​found seeking​ ​out​ ​opportunities​ ​for​ ​this​ ​type​ ​of​ ​dynamic​ ​connection​.​ ​​ ​She​ ​has​ ​come​ ​to​ ​believe​ ​that​ ​her​ ​art​ ​making​ ​and​ ​art​ ​teaching inform​ ​and​ ​inspire​ ​one​ ​another​ ​and​ ​that​ ​fostering​ ​a​ ​love​ ​for​ ​the​ ​Arts​ ​in​ ​our​ ​young​ ​people is​ ​crucial​ ​for​ ​sustaining​ ​a​ ​vibrant​ ​and​ ​connected​ ​community.​ ​Sarah​ ​happily​ ​makes​ ​her home​ ​with​ ​her​ ​husband​ ​and​ ​two​ ​young​ ​children​ ​in​ ​Shelburne,​ ​Vermont. Born and raised in Buffalo, NY, Ryan has been a resident woodworker at the Shelburne Craft School since 2011. Ryan received his BA from SUNY Geneseo and a Masters of Education from Johnson State College. Ryan studied furniture-making at the Vermont Woodworking school as an apprentice under Bob Fletcher. 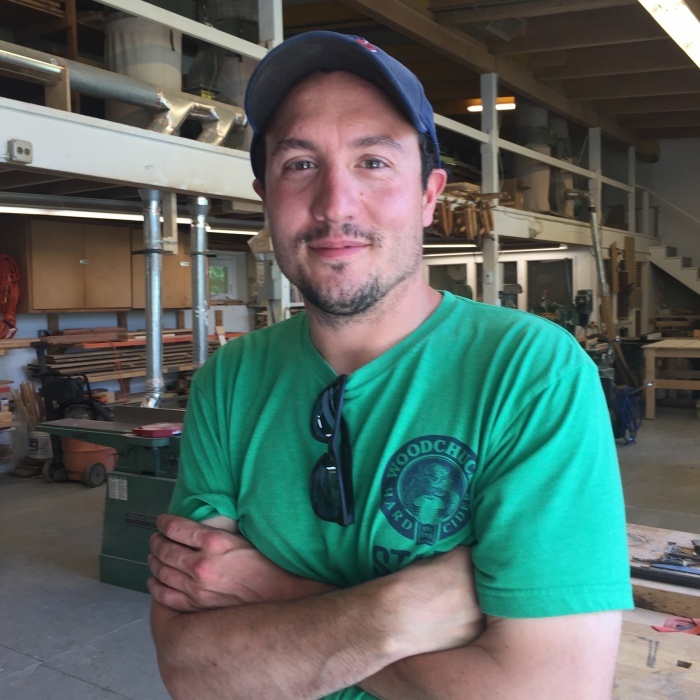 Ryan manages the wood shop, adult woodworking classes, youth woodworking classes, and open studio nights. Rik joined the Shelburne Craft School community in 2004, studying with Loreta Lanquet and Hoyt Berringer. In 2006, he started teaching kids clay classes at Burlington City Arts and became a studio assistant at the Shelburne Craft School. 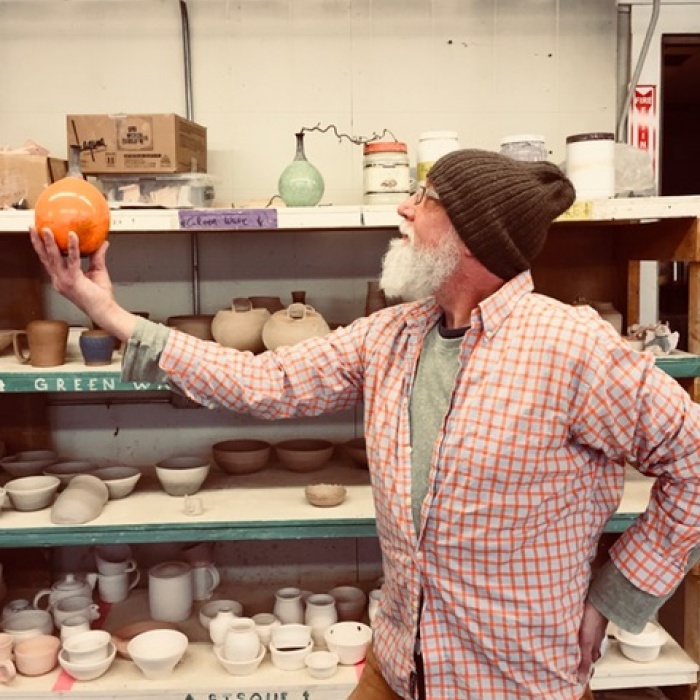 He is now the Craft School’s ceramics studio manager, teaches kids clay on the wheel, adult classes and is the community outreach instructor. He manages the open-studio schedule, studio monitors, kiln fires, and oversees equipment maintenance and supply ordering. Kayla's crafting skills evolved when she moved to Vermont in 2011 and joined UVM's Pottery Cooperative and began to explore fiber arts independently. 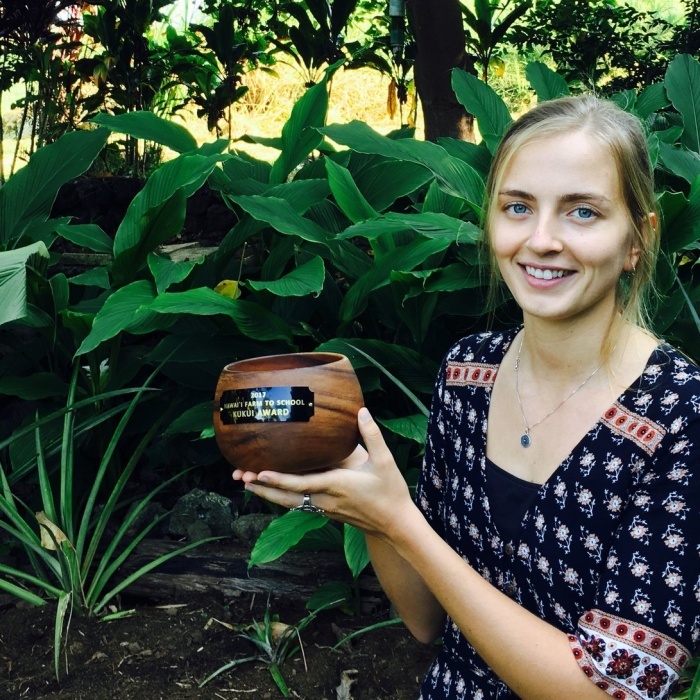 After graduating from the University of Vermont in 2015 she went on to farm and teach handworks at a Waldorf School on the Big Island of Hawaii. For three years she worked with children teaching knitting, crocheting, felting and a variety of other hand crafts. Kayla is excited to bring her experience in ceramics and fiber arts to the children of the Shelburne Craft School as one the new after school instructors. Executive Director, Shelburne Craft School. As a Shelburne resident and lifelong learner, designer and crafter I can’t imagine a more perfect setting to connect people with a creative life. I am a passionate believer in the power of working with our hands, fostering exploration, and a community-focused teaching philosophy. I am thrilled to combine my experience in educational nonprofit leadership with my love and dedication to this community.